This past weekend we visited the El Dorado County Fair. Nice, old timey county fair. I stopped and chatted with a nice lady at the El Dorado Air Quality Management District booth. 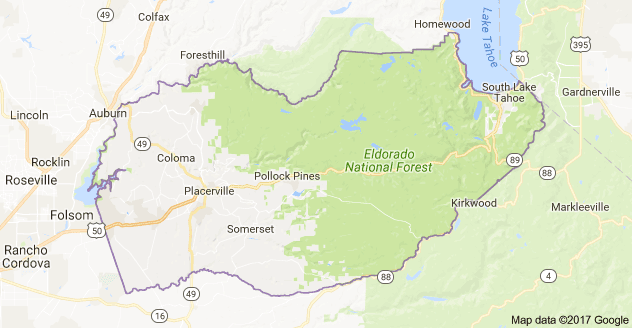 I was curious because it seemed to me that there would be little air quality problems in El Dorado County, a fairly rural county that runs from just east of Folsom, CA to the Nevada border. The Highway 50 corridor is like the spine of the county. I was amazed, even though I shouldn't have been, when the lady told me that El Dorado County fails to meet Federal air quality standards. As some of you know I was employed by the California Bureau of Automotive Repair for years. I also was a member of the Inspection and Maintenance Review Committee (IMRC) from 2001 until just before it was disbanded. The IMRC was a California Legislative Advisory Committee for the Smog Inspection Program. What the lady from the El Dorado AQMD said, and I'm paraphrasing, is that the majority of their air quality problems are mobile sourced - cars and trucks - and that the state, and to some extent feds, regulate them. The AQMD is responsible for stationary sources. One reason that the IMRC was disbanded is that it was sunset (a legislative term to say it had run its course). Another was that the Smog Inspection Program had allegedly done its job. I disagree with that conclusion. The California Legislature in its infinite wisdom exempted a slew of vehicles from the Smog Inspection Program. All vehicles 1975 and older, diesel vehicles 1997 or older, and vehicles six years old or newer (except in specific instances) are exempt from testing. That is a large chunk of vehicles. On the face of it the exemptions make sense. New vehicles are exceptionally clean. There are few old vehicles and many are driven very few miles. But, and there's always a but, I would suggest that many new vehicles, especially performance vehicles, often are modified. Older vehicles too. And studies have shown that older vehicles, modified or not, pollute many, many times over the limits initially set for them. Diesels are a special problem. They have two harmful emissions - oxides of nitrogen and particulates. An emission that was just starting to be discussed at IMRC meetings was the "super-fine" particulates. To be fair the IMRC made recommendations that the Legislature did not implement. The Legislature being a political body decided to exempt all these vehicles. California has the worst air quality in the nation. That is what the US-EPA stated in 2015. I'm sure part of that is because we have the most people and vehicles (almost 40-million people and about 32-million vehicles). We cannot excuse the vehicles that pollute though. In 1970 there were 20-million people in California. Extrapolating there may have been up to 16-million vehicles, probably fewer (I think there were fewer multi-car families in 1970). Even though today's vehicles are vastly cleaner there are far more of them. More vehicles mean more pollution unless the vehicles are zero-emissions. 27156. (a) No person shall operate or leave standing upon any highway any motor vehicle which is a gross polluter, as defined in Section 39032.5 of the Health and Safety Code. (b) No person shall operate or leave standing upon any highway any motor vehicle which is required to be equipped with a motor vehicle pollution control device under Part 5 (commencing with Section 43000) of Division 26 of the Health and Safety Code or any other certified motor vehicle pollution control device required by any other state law or any rule or regulation adopted pursuant to that law, or required to be equipped with a motor vehicle pollution control device pursuant to the National Emission Standards Act (42 U.S.C. Secs. 1857f-1 to 1857f-7, inclusive) and the standards and regulations adopted pursuant to that federal act, unless the motor vehicle is equipped with the required motor vehicle pollution control device which is correctly installed and in operating condition. No person shall disconnect, modify, or alter any such required device. (d) If the court finds that a person has willfully violated this section, the court shall impose the maximum fine that may be imposed in the case, and no part of the fine may be suspended. (e) "Willfully," as used in this section, has the same meaning as the meaning of that word prescribed in Section 7 of the Penal Code. (f) No person shall operate a vehicle after notice by a traffic officer that the vehicle is not equipped with the required certified motor vehicle pollution control device correctly installed in operating condition, except as may be necessary to return the vehicle to the residence or place of business of the owner or driver or to a garage, until the vehicle has been properly equipped with such a device. (g) The notice to appear issued or complaint filed for a violation of this section shall require that the person to whom the notice to appear is issued or against whom the complaint is filed produce proof of correction pursuant to Section 40150 or proof of exemption pursuant to Section 4000.1 or 4000.2. (2) To result in emissions from any such modified or altered vehicle which are at levels which comply with existing state or federal standards for that model year of the vehicle being modified or converted. (i) This section applies to motor vehicles of the United States or its agencies, to the extent authorized by federal law. I am not against old cars, not by a long shot. I own a '64 Ranchero with 4-barrel 302 V8. And I'm not against modifying cars. There are measures that would protect enthusiasts and collectors. (Those who modify newer vehicles are a separate issue.) Some of them were proposed by the IMRC. Mileage limits - If you drive your vehicle less than a specific distance per year (5,000 miles has been suggested) it would be exempt from testing. One problem is the reporting of mileage; it would have to be verified. Annual testing - If you own a make and model of vehicle that statistically exceeds pollution norms for that year/type/engine size it should be tested annually to make sure it doesn't exceed the limits. If you own a vehicle with more than a specific age/mileage (say 10-years/100,000 miles) it would need to be tested annually. Increased remote pollution sensors - I'd suggest that any vehicle that fails remote sensing most go to a certified test facility within two weeks to verify the results. If your vehicle fails a full inspection it must be repaired, or verified that it has not exceeded the yearly mileage for an older vehicle, or the registration revoked. Smog Abatement Fees - If you drive a vehicle that is modified you should pay for the privilege. Let's face it, modifying a vehicle costs money so you really can't cry poor. Either you pay up or prove your vehicle is clean (meets or exceeds the standards for its year/make/model). Now for those modified new vehicles. In my opinion there should be no exemption for them. If you're caught driving a modified new vehicle - modification to any emissions control systems - you are going to pay. Not only will you have to bring the car into compliance but you will be assessed a hefty fine. There are many modifications that are approved by the Air Resources Board; removing the catalytic converter is not one of them. Those are some of my thoughts. I also would like to see increased public transportation for outlying areas. I live in Tracy, CA. A large percent of the working population here commutes to the San Francisco Bay Area by vehicle. In El Dorado County a large number drive to Sacramento. The highways are clogged. Pollution along the major corridors is very high. The cost to us in health issues is tremendous. We either have to provide other ways for these people to get to work and back or we have to provide jobs closer to home for them. I would suggest anyone interested in the topic of air pollution caused by mobile sources read any of the papers by Professor Emeritus Thomas Cahill of UC Davis. Cahill is one of the top experts. 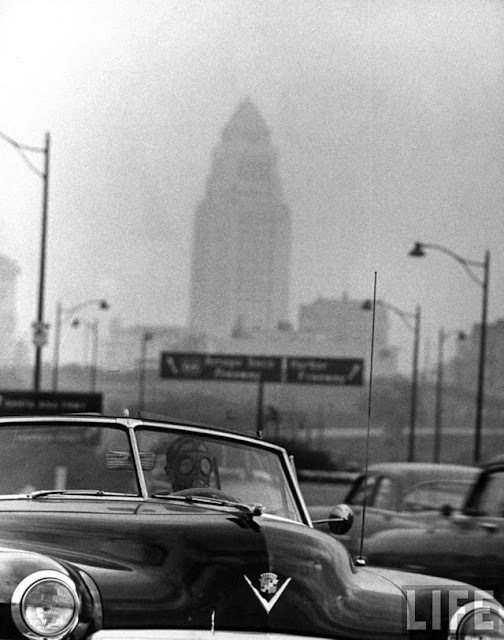 Our air pollution problems are better, much better than they were 50 years ago. But they are not solved. Programs like Smog Inspection need to be strengthened not weakened.